Home » Frequently Asked Questions » What Happens if my Condition Gets Worse after Settlement – Can I Reopen my Case? What Happens if my Condition Gets Worse after Settlement – Can I Reopen my Case? I sometimes get calls from folks who want to know if there is any way to “reopen” a settled workers’ compensation claim. Sometimes the injured claimant discovers that his medical condition is worse than he originally thought and he needs medical treatment. In other cases, the claimant has come to believe that he settled for not enough money and wants another opportunity to negotiate. Unfortunately, once you settle, your case is over. Unless you can document massive fraud on the part of the employer/insurer (and I have never seen such a case), you cannot come back after settlement to attempt to negotiate for more money. 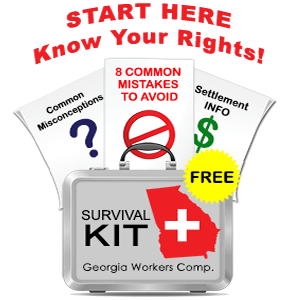 Settling a workers’ compensation claim can be very tricky. On one hand, insurance companies do not have to settle and you cannot file any action at the State Board to compel any sort of lump sum payment. If you do not settle, you run the risk that at some point, your claim will get stale. Remember that insurance companies settle to eliminate uncertainty – they settle to eliminate an open ended risk. If you and your doctor cannot make a reasonable guess as to what will happen with you medically, it probably is not the right time to settle. Obviously if you settle for a lump sum because you need the money to stop a foreclosure or to address some other emergency, you run the risk that you may have problems later on that cannot be addressed in workers’ compensation.